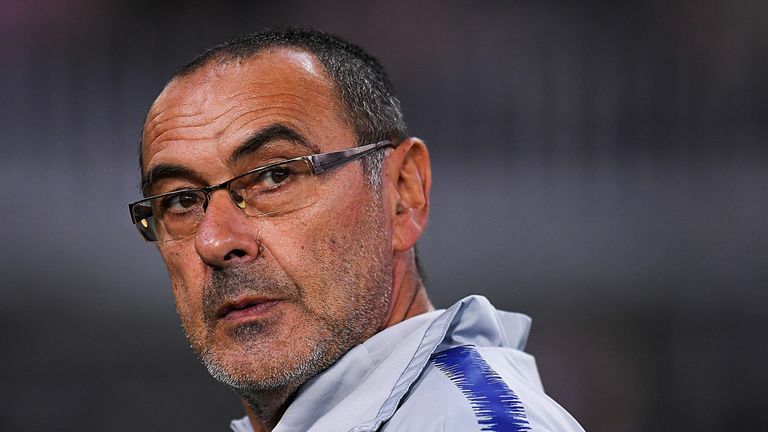 Maurizio Sarri admitted the only positive from Chelsea's win over BATE was the result, after their below-par performance. BATE have now beaten an English side just once out of six attempts following their 1-0 defeat at the Borisov Arena courtesy of Olivier Giroud's header. But they could have got at least a point against Sarri's men after hitting the woodwork three times on the night, and forcing goalkeeper Kepa Arrizabalaga into two strong saves. Chelsea head coach Maurizio Sarri says the best situation to come out of their 1-0 win over BATE was the result. Sarri said: "The best situation this evening is the result. We didn't play very well. "It wasn't very easy to play a good game here. It had all the conditions to play very badly, with the cold, the opponents, the pitch, everything. I think we could have done better." He added: "I didn't like the first half. We moved the ball only horizontal and slowly. It was really very difficult to be dangerous. "It was better in the first 20 or 25 minutes of the second half. Then we managed not really very well the last 15 minutes. "Today I was in trouble, too. I had fever. It was a very hard day for me. I don't know if I am improving or if it is only the temperature."